Communications are renowned for their creative techniques for persuasion, often even verging on manipulation. Examples abound: aspirational messages (cue a happy group of friends), guilt-inducing messages (charity donation prompts), exclusivity messages (a limited offer for our best customers), hurry-up messages (offer expires in three, two, one…). As any marketer or advertising creative will know, the toolbox for getting people to think, behave, need, or desire is nearly bottomless. Behavioural science – aside from its benevolent applications – has unsurprisingly been recruited to add to the toolbox. With the deep understanding of cognition and causes of human behaviour, it can provide very valuable techniques that considerably boost the scale of persuasiveness / manipulation (terms vary with moral code). Although the ethical extent of using psychology to inform marketing and communications is a topic for another time, we can all agree that with insight and influence comes responsibility. In the most basic distinction, we can influence behaviour for the brand’s gain, or for the consumer’s gain – something much less seen. However, this is the key aspect that should, and increasingly does, separate financial communications from comms in general. High-street financial sector – banks, pension providers, insurance firms, and so on – can be tough to navigate for many, if not most, customers. First of all, the products provided, from bank accounts to pension and insurance plans, are abstract and intangible. In many cases, they require pre-existing knowledge and a correct mental model to analyse their benefits and drawbacks. Needless to say, pre-existing knowledge and a correct mental model are what an average financial customer is unlikely to have. And even if he does, the abundance of products available can be daunting and confusing. Second, products such as pension plans or insurance are not immediate, which makes consumers think about them differently – often discounting their advantages or delegating little thought to the required actions and decisions. Third, the customers’ benefit from the products is significant both in material terms (their earnings, savings, pensions), as well as in psychological terms (financial and psychological security and, well, the knowledge of not being robbed by their financial service). This means that financial communications are governed by different rules than general comms. The scope for undue influence and misinformation is considerably greater, as are the consequences – this isn’t just buying shampoo. Techniques that we can only call manipulative, such as decoy effect and social norms messaging, have already been prohibited in the Financial Conduct Authority guidance (the most recent one here), given that they can be used for customers’ gain and loss alike. Yet, even though most high-street financial services are now aware of this, they fall into a different trap all too often. 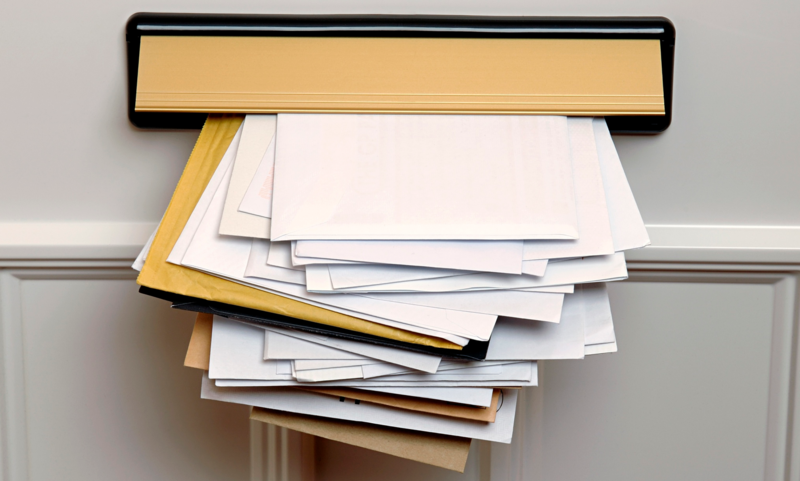 For instance, letters to customers tend to be filled with jargon, include all relevant information in one bulk, then the less relevant information, with compliance regulations, exemptions and factsheets on top of it. In colourful booklets, the graphic side rarely works to support the content, even though it carries a lot of potential to aid visual and associative memory. From our research we know that this too influences the customer, bringing about poor comprehension, low action-tendency, and high confusion. In case of financial comms, the behavioural ‘tools’ we can use to counter the negative effects on customer understanding and choices are closer to a technical, bare-bones solution. Understanding that financial customers have a less complex and often shortcut-based mental model of the products and services than their providers is crucial. This has a great impact not only on how the customers understand the communications, but also whether their understanding translates into action. In our primary research, we have explored multiple approaches, and identified a schematic structure as the most powerful to this end. But most importantly, the technical fixes to financial communications do not mean ‘make things easier’. Equally, they are not at odds with the indispensable legal content, from exemptions, to fine print. The key, as we have found, lies in giving the customers the correct mental frame from the very beginning, which checks all the boxes: comprehension, engagement, and action. Great post and share on the finance parts of life. Its important to creating an easier long term path for people.